She did a lot for the Tigard High School softball team. She was a top pitcher. She was a dangerous hitter and she definitely was a leader. And now, Ashley Davis is getting honored for it. Davis, who graduated from Tigard High School on Friday, was named the Three Rivers League Pitcher of the Year for her play during the 2018 season. 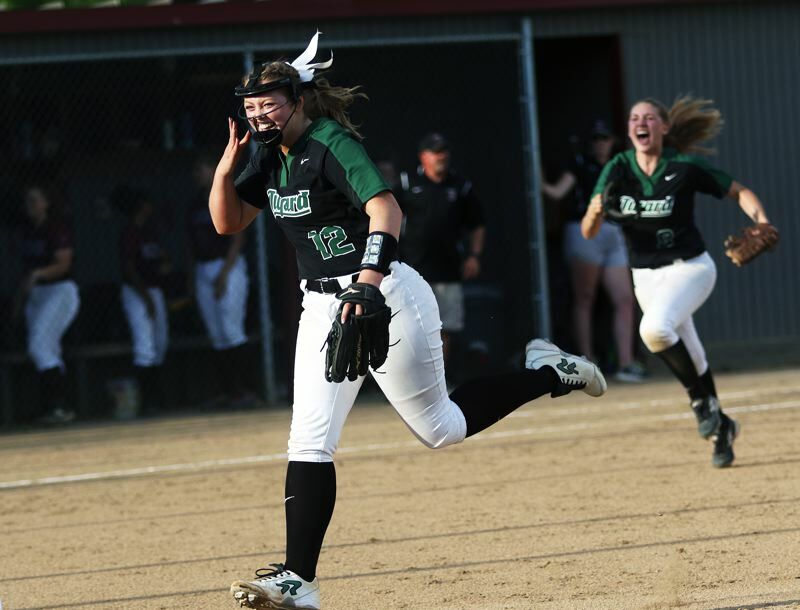 "Her leadership was unquestioned, I've said that a million times," Tigard coach Pete Kostel said of Davis, who will play college softball at George Fox University. "She led by example in the way she worked, from practice to her off season routine, to her expectations of her self. A big thing as well was her perspective, she was a valedictorian, involved in Young Life, held a job, and was able to play at an elite level. I believe that our younger kids see that and she leads in that manner." Davis, who helped lead Tigard to a 24-5 record, and its first state playoff quarterfinal berth since 1995, had gaudy numbers during the 2018 season. Pitching, she had a 23-5 won-loss record and 1.01 earned-run average. She struck out 255 batters in 170 innings pitched. At the plate, Davis hit for a .371 average, with 10 doubles, four home runs and 31 RBIs. In addition to Davis, Tigard had other players earn first-team All-Three Rivers League honors. Sophomore Emily Paulson was a unanimous selection at catcher and sophomore Lexi Klum was a unanimous pick in the outfield. Freshman Sophia vanderSommen also was a first-team all-league pick as an outfielder. Tigard junior shortstop Maddie Hoover was a second-team all-league pick as an infielder. Senior first baseman Caroline Riggs was an honorable mention pick. The league champion Tualatin squad, which went on to win the Class 6A state championship, while going 30-0 on the season, had six players earn All-Three Rivers League first-team honors. Senior Megan Woodward and sophomore Tia Ridings were both selected as first-team pitchers. Senior Ella Hillier was a first-team pick as a catcher. Senior Zoe Olivera was a first-team selection as an outfielder. Senior third baseman Taylor Alton and junior first baseman Emily Johansen, who hit 16 home runs on the season, were first-team selections as infielders. Sophomore shortstop Bella Valdes and junior second baseman Andrea Gomez were both honorable mention picks. For Sherwood, sophomore Olivia Dirks, who played at first base and pitched for the Lady Bowmen, was a first-team all-league pick as a utility player. Also for Sherwood, senior Emily Watson was a second-team selection at catcher and sophomore Ema Kessler was an honorable mention pick as an outfielder. 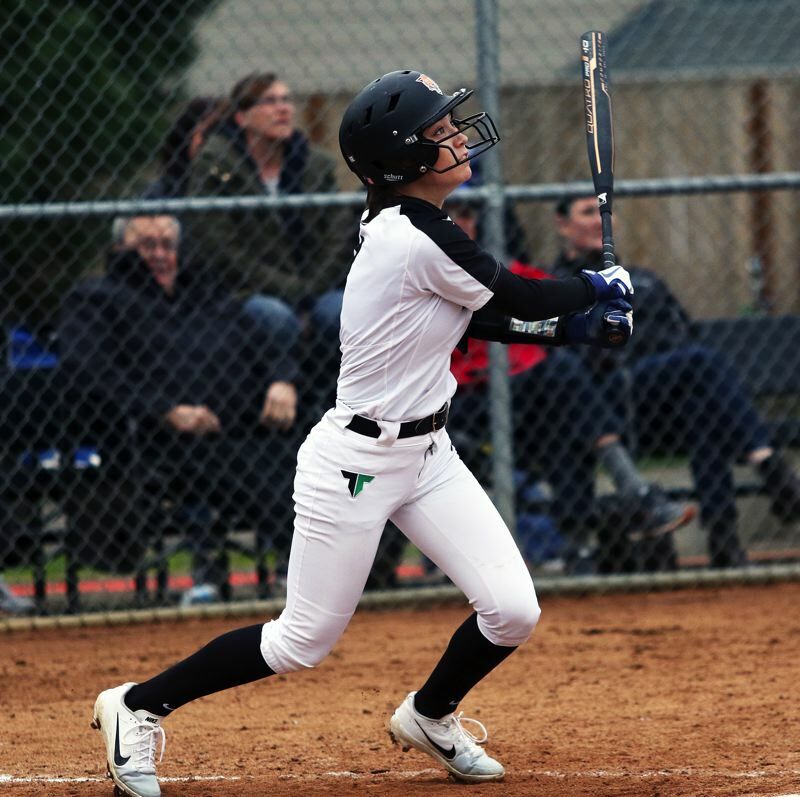 West Linn senior outfielder Brooke McKelvey was named the Three Rivers League Player of the Year and West Linn's Monica Sorensen was tabbed the Three Rivers League Coach of the Year. The rest of the all-league first team included Lakeridge senior outfielder Claire Johnston, Lake Oswego senior infielder Morgan Jones, West Linn senior infielder Kaitlin Lampson, Canby senior infielder Cassidy Posey and Lakeridge senior infielder Sara Nyland. The all-league second team also included West Linn senior outfielder Megan Talbert, Newberg junior outfielder Sam Teran, Canby senior outfielder Savannah Tuli, Lake Oswego junior outfielder Layney Lombardo, West Linn junior pitcher Lexi Finke, Canby junior pitcher Parker Allhands, West Linn junior infielder Taylor Maxwell, Canby junior infielder Kamryn Mobley, West Linn senior infielder Avery Esau, Newberg junior infielder Zimri Lemonds, West Linn senior catcher Weston Miller and West Linn junior utility player Gracie Hook.